CONGRATULATIONS MASON SCIONEAUX! You have represented yourself and Riverside Academy with exceptional class and continue to positively inspire those around you. 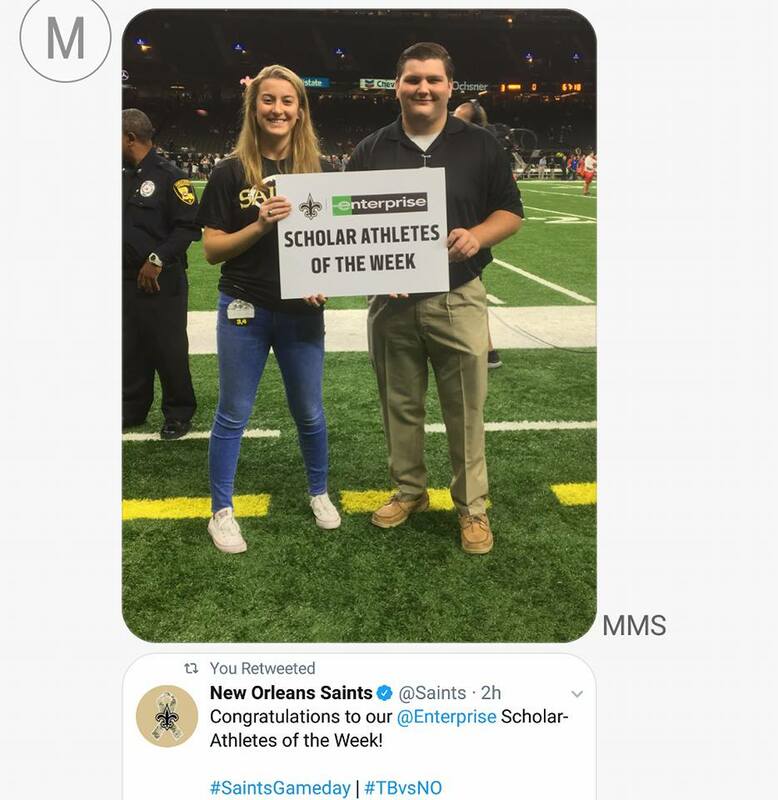 At Sunday’s Saints game, Mason Scioneaux was awarded the Saints -Enterprise Scholar Athlete of the week. He was given 2 pregame passes, 2 tickets to the game, 2 caps, a t-shirt, a media guide, a game program, and an autographed Saints football. 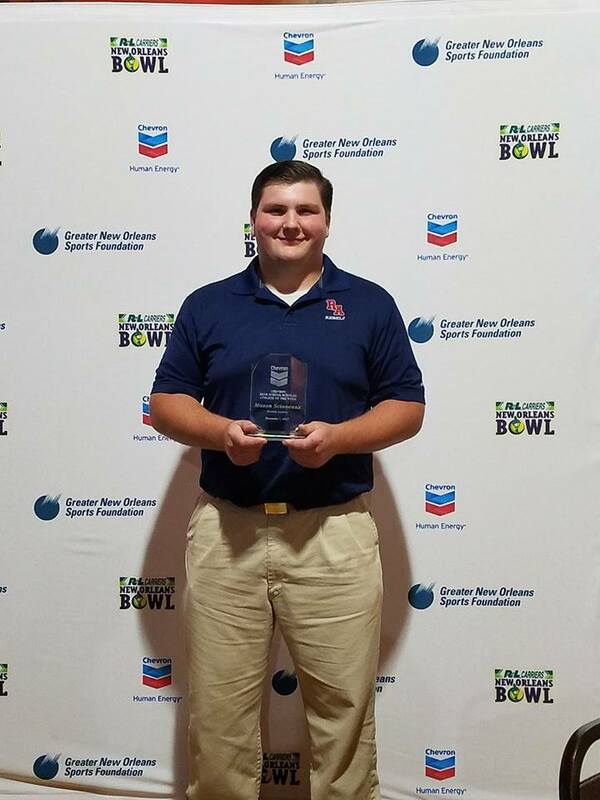 Tuesday, Mason was awarded the male recipient of the Chevron High School Scholar Athlete of the Week at the Greater New Orleans Sports Foundation Quarterback Club today with a luncheon at Rock ‘N Bowl. He will also be recognized on field during the 2017 R+L Carriers New Orleans Bowl at the dome on Dec 16th as well as a Pelicans basketball game. Mason has a 4.69 GPA and scored a 33 on the ACT. He’s a Captain of the Varsity Football Team and member of the Track & Field Team. He is President of the Student Council and Vice President of RA’s Political Science Club. Mason is also involved in his church and community. He has not decide on a college yet, but intends to major in Journalism/Pre-Law.